Defenders play a very significant role in a team’s success because of the simple reason that a team cannot lose a football match unless they concede a goal. Defenders only make sure that a team does not concede too many goals or better still, no goal at all. Centre-backs play a pivotal role in a team’s defence, as they thwart attacks from the opposition, and start attacks from the defensive third. Therefore, a good centre-back can play a decisive role in a team’s win. There have been some centre-backs, who have performed exceptionally well for their respective clubs and countries this season. They have been supremely consistent and been the primary reasons behind the success of their teams. It would not be an exaggeration to say that Van Dijk is the best centre-back in the world at the moment. He has played well in almost all the matches this season, and hardly put a step wrong. He joined Liverpool from Southampton in 2018, and started growing in stature with every match. He performed well in most of the big matches last season, and also featured in the UEFA Champions League final against Real Madrid, which Liverpool lost 1-3. However, he has been absolutely top-notch since the beginning of the current season, and appeared in 38 matches for Liverpool. An injury to Lovren meant that he had to take a leading role in Liverpool’s defence. He has performed that duty exceptionally well so far. Van Dijk is a clean tackler, very fast mover and brilliant in the air. He has actually scored 4 goals with headers this season. His aerial prowess makes him a considerable threat for the opposition, especially from the set-pieces. He has also worked on his physique, and grown stronger physiccally. He also concedes very few free-kicks in and around the penalty box, and is a very dependable player. 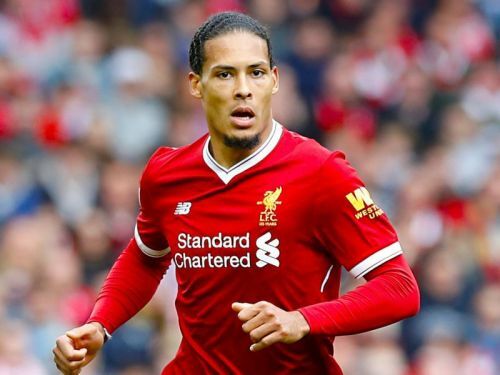 Liverpool are in contention for winning the Premier League, and have also reached the quarter final of the Champions League, and Van Dijk deserves has played his part in their great run so far.